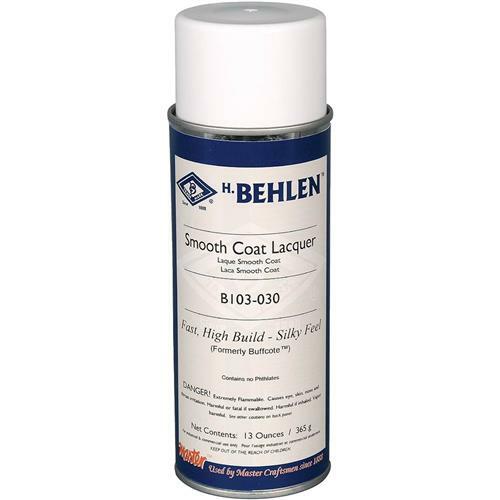 Smooth Coat Aerosol Lacquer contains waxes that provide dazzling results for all types of fine furniture and interior woodwork. This unique lacquer delivers a very soft look and feel that will “wow” you and is formulated to give a hand rubbed effect right out of the spray can. The slightly amber appearance of Smooth Coat Lacquer also adds to the patina of the wood. 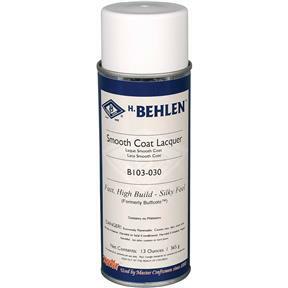 Smooth Coat Lacquer looks great over stained wood or as a beautiful natural finish. Formerly called Buffcote. 13 oz.